Jones’ mother, Dorian Sanders, filed a medical negligence lawsuit against PeaceHealth medical center last year. It alleges the hospital and emergency room physician Christoffer Poulsen, were negligent in failing to give a routine blood test to rule out meningitis, by not administering antibiotics and by discharging Jones from hospital. The suit seeks 2.5 million dollars in total damages. 18-year old Lauren Jones was a popular student athlete at U of O. In 2015, she died of Meningicoccal disease amid a campus outbreak. Her mother is suing PeaceHealth Medical Center for wrongful death. PeaceHealth denies all allegations in the suit. A hospital attorney argued Jones did not have any of the tell-tale symptoms of meningococcal disease while in the E.R. The hospital was aware of three previous cases of the deadly illness at the U of O.
Jones, a member of U of O’s Acrobatic and Tumbling team, fell ill on February 17, 2015. She was transported from her dorm to PeaceHealth’s University District Emergency Department. About three hours later, the 18-year old was discharged with a diagnosis of “influenza-like illness,” although tests came back negative for the flu. Nearly nine hours after being sent home, Jones was found unconscious in her dorm room. She was taken to PeaceHealth RiverBend where she was pronounced dead. 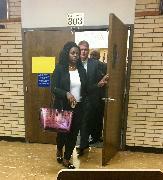 Dorian Sanders leaves the courtroom Tuesday in Eugene. She is suing PeaceHealth Medical Center for medical negligence after her daughter, Lauren Jones, died of a deadly, contagious disease. The case is expected to last up to two weeks. The jury, made up of 8 women and 5 men, will be asked to determine if Lauren Jones died due to the hospital’s negligence. For KLCC news, I’m Tiffany Eckert at the Lane County Courthouse. Dr. Christoffer Poulsen was the emergency room physician who treated Lauren Jones on February 17, 2015. He is named in the negligence lawsuit against PeaceHealth Medical Center. The mother of a University of Oregon freshman who died last February has filed a lawsuit against PeaceHealth Sacred Heart Medical Center. The suit claims the hospital was negligent in treating Lauren Jones who died of Meningococcal disease. KLCC's Tiffany Eckert visits the mass vaccination clinic at Matthew Knight Arena on the University of Oregon campus. The newly approved vaccine Trumenba is being administered to any undergraduate who wants it. As students trickle in for the vaccination, Tiffany spoke with Andre Le Duc, Executive Director of Enterprise Risk Services. In the wake of a Meningitis-like outbreak at the University of Oregon, health officials are stepping up a vaccination program. Due to demand, a temporary clinic opened Monday in Mathew Knight arena to vaccinate students who want to be immunized as soon as possible. KLCC's Tiffany Eckert was there. Since Monday morning, more than 700 students have received the vaccination for Meningococcal Group B, the disease that has sickened three students and caused the death of freshman athlete Lauren Jones. Mike Eyster is Executive Director of the University Health Center. 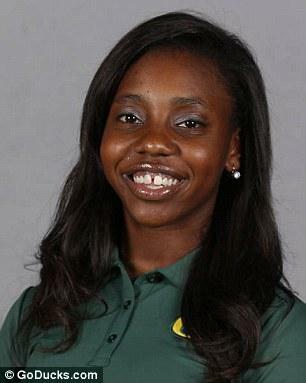 Lauren Jones, a University of Oregon student athlete passed away after seeking medical attention on Tuesday. A bacterial infection was suspected to be the cause of her death, but the autopsy results are inconclusive.